At James Oglethorpe Primary we endeavour to instil a lifelong thirst for learning through a Curriculum that both inspires and excites all of our children. We recognise that all pupils are entitled to have access to a broad range of learning experiences which allow them to develop the knowledge, understanding, skills and attitudes necessary to prepare them for and to help them succeed as members of the wider community. The children are at the heart of our curriculum planning and we ensure that we provide opportunities for all pupils to learn and to achieve, irrespective of social background, culture, race, gender. We place an emphasis on spiritual, moral, social and cultural development across our curriculum and support children in developing principles for distinguishing between right and wrong through linking teaching to our school values: Aspiration, Integrity, Identity. Should you like any further information on our curriculum, please contact your child’s teacher. Alternatively, send an email to office@jamesoglethorpe.havering.sch.uk detailing the information you require. Our skills based foundation subject curriculum is planned around purposeful learning experiences that encourage collaboration, enquiry based learning and stimulate enjoyment. All pupils receive specialist teaching for PE and Music each week from our sports coach and music teacher. 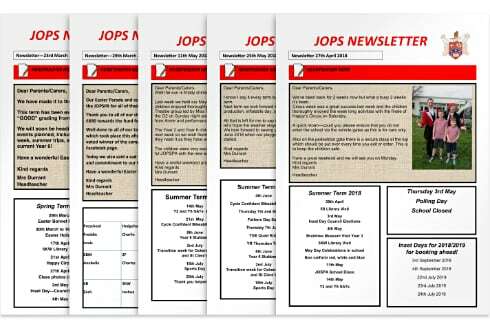 Below you can find information about the range of ‘topics’ each year group will cover and further details about the skills they will develop in the short term planning overview. Please follow the links below to find out more about how we teach our core subjects at James Oglethorpe Primary School. In our Reception phase, we follow the Early Years Foundation Stage curriculum: Development Matters. This curriculum runs from birth to the end of Reception and links learning objectives to age bands. At the end of Reception children are assessed against 17 Early Learning Goals. In order to inspire and motivate our pupils and teach to the children’s interests, we have adopted an ‘in the moment planning’ approach. To read more about this approach please click here. Learning through play is vital in the Early Years – through play children explore the world around them, make links with previous knowledge and learn how to build effective relationships with others. For most of the day children are free to move between the two large Reception classes and the outdoor area. The environment is set up to allow children access to open ended activities to encourage them to become independent, resilient and creative learners. All adults work with children in the environment to enhance their play, making suggestions, clearing up misconceptions and questioning in order to move the learning on. Records are made of the interactions which include what the child was doing, how the adult intervened and what the result of the interaction was. Evidence of children’s learning is kept in their Learning Journeys which are shared with parents each term. Children also have daily Read, Write Inc. phonics and maths lessons and weekly PE and music lessons.